Trap Door Theatre is proud to celebrate 25 years of excellence by offering a showcase of 25 of our favorite moments on our Bucktown stage. The event will consist of 25 selected scenes from body of Trap Door's history of work directed by various of our collaborating artists from over the years. Trap Door's mission of seeking out challenging and obscure works has been a solid commitment from founder and artistic director Beata Pilch. She remains true to her vision by continuing to research contemporary playwrights and directors and giving them a voice on both sides of the ocean. 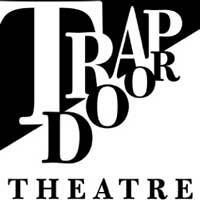 The Trap Door has been honored with invitations from many major international festivals throughout Europe. This performance is dedicated to all the artists that have passed through the Trap's door and have dedicated their time and talent in keeping our theatre to thrive! Thanks to our generous supporters, loyal patrons and talented artists, Trap Door has managed to produce 115 shows in 25 years.